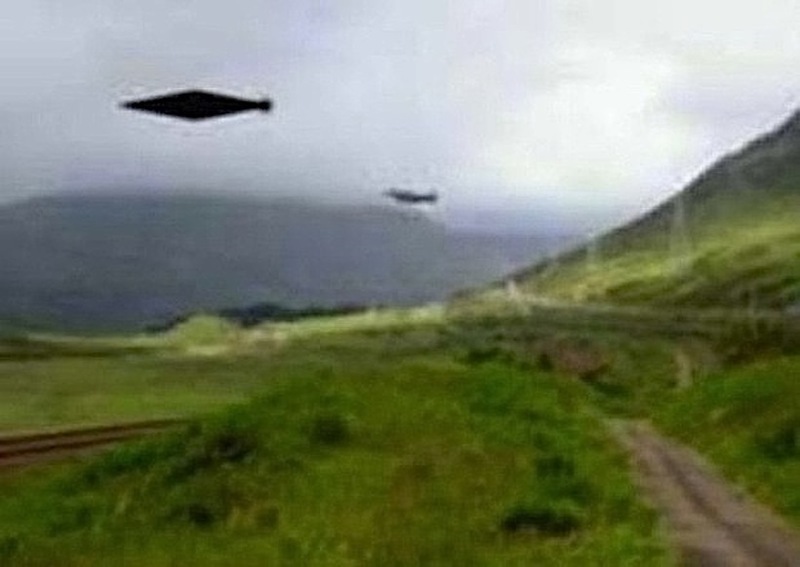 Taken By The Greys - Abductions: Shocking Scotland UFO / ET Encounters - "Thelmadonna's Story"
To begin, I would like to say that these events you are about to read, are shared from a dear and close friend of mine for years. In fact she shared these with me through our conversations..after my close encounters had started again. She was able to show me..that I was not alone in this. Most people that are taken..do come out of it feeling alone. I want to emphasize to them that they are not. They do have people like me and "Thelmadonna"..to turn to..to talk to. Please note that Thelmadonna is not her real name but it is the one she is known by for sharing her encounters. My earliest recollections of something being not quite right were memories of being returned to my cot, which I stopped sleeping in at the age of around two years old, so it was prior to this. I remember being lowered into it, on a green aura and screaming with no answer from my parents who were lying in bed aside me. At this point I was raised again and stood on the floor at the side of my parents bed. My mother awoke startled and puzzled as to how I was there. I hadn't yet learned how to climb over the top and I had been screaming for a long time.I had a raised temperature and she checked me all over for lumps and bumps, in case I'd damaged myself. She assumed I had fallen from the top of the cot barrier to the floor. Other than being able to remember this event, I have no memory of alien contact. (I asked my mother about this when I was 14, she remembered it very clearly, it stuck in her mind because of the cot, she said the doctor had been called in because of the temperature and I was diagnosed with having middle ear infection. A thing that has continued to plagued me off and on throughout my life.......(I will mention this condition later) . I was about five years old when I swapped bedrooms with my parents and I once again was in the room where my first strange memory had me placed. The view from the bedroom window was expanded enormously by my father.He moved the bed linen box to the window and put it just below it, so I could stand on top of it and see outside. I could see on the sky-line of the ridge on Ochil Hills, where my father would point out lights. He was ex-army and he used to tell me how they were jets from RAF Kinross / Machrahanish. When the ones that were going too fast for him to explain, he would say it was "The Yanks". The area in view was on a flight path, but what we were watching on some nights were chases. There were regular manned jets but there were also golden orbs of light. It looked like they were playing a game of Tig/Chase. My father only ever saw them at great distance, 30- 40 miles. The jets would zig-zag along and up the length of The Hills and collect and disperse the globes of light higher up in the atmosphere like they were herding sheep. The globes would reach a certain altitude on the vertical and then they would look like the white ball just hit the colored balls at full force on a pool table and each sped of at a different tangent and then just disappear. My dad would then tell me it was time to go to bed. He would move the linen box back to the bottom of my bed because it was too heavy for me to move. It didn't take me long to work out a way to get it back over to the window. I would empty the linen piece by piece onto the bed and move the box corner by corner to the window. I would sit for what felt like hours and the globes would reappear, only not 30 to 40 mile away. Sometimes they would appear, just like they could after being blasted by a cue ball. Usually just over the roofs of a nearby housing estate. This was a regular occurrence as in yearly( for at least ten years that I can account for.It has been recorded by others in later years). When I was around eight years old, I observed a sphere of light (about 40 feet diameter). It was floating 10 feet above the houses in the other housing scheme that was visible from my bedroom window. It was about 250 yards away and it just sat there pulsing, like a street light will do with a certain type of rain falling past it.So slight, but the pulse was visible just the same. After about 5 minutes it seemed to be getting smaller but more dense, more vibrant. As it continued doing this it rolled over the roof and toward the ground as it went down to the park that divided my scheme from the one where it appeared. A ball of light was now about 20 feet in circumference, bouncing about. The more it bounced, thrummed, vibrated, the more light,energetic and animated it became. It seemed like it took about twenty minutes to gain its peak. It's colors were a fire-red flickering like as in a fire within a peachy colored sphere. Every now and then I would hear a popping sound. I noticed smaller (about 2 feet) spheres that were more dim. They dropped down through the big spheres circumference, like tailless sperm entering an egg. As they did the color would change slightly, looking less strong in color. Some of the flame-like streaks then changed to a fire-yellow, and with more yellow than red visible, colored sparks began resounding. They sounded like distant fire-crackers within the sphere. I feared that I would not stay awake long enough to see the purple, my favorite color. It started off as the palest lilac color and ended its sequence purple neon, while the green sequence seemed very urgent. It was as if it was in a hurry to get it over with. Still the yellow-flamed streaks of color within the sphere were getting whiter as the green sequence finished. The white level got to what could be described as, as bright as a halogen bulb, as you are staring right into it. 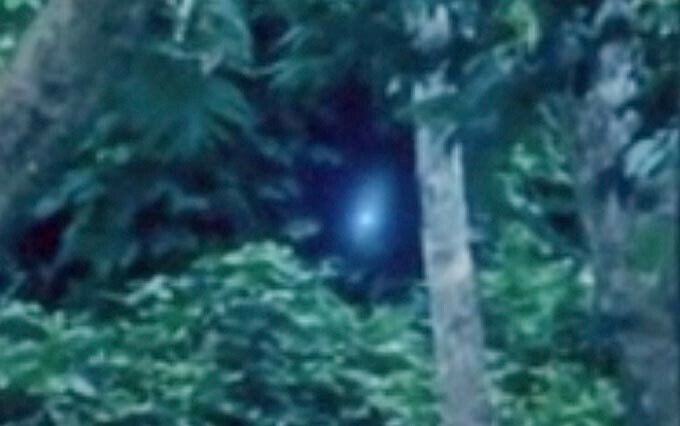 At this point it lifted about six feet from the ground and then disappeared vertically along the side of a hill and up into the air, it was cloaking itself as it moved. By the time it got over the Bonnybridge Road it was high enough for me to see it again. I followed it skyward, where I saw were three stationary black bat-shaped crafts waiting for it. By this time my UFO appeared like a crescent moon. The crafts were there and gone in the blink of an eye. Like turning off a Halogen light!. 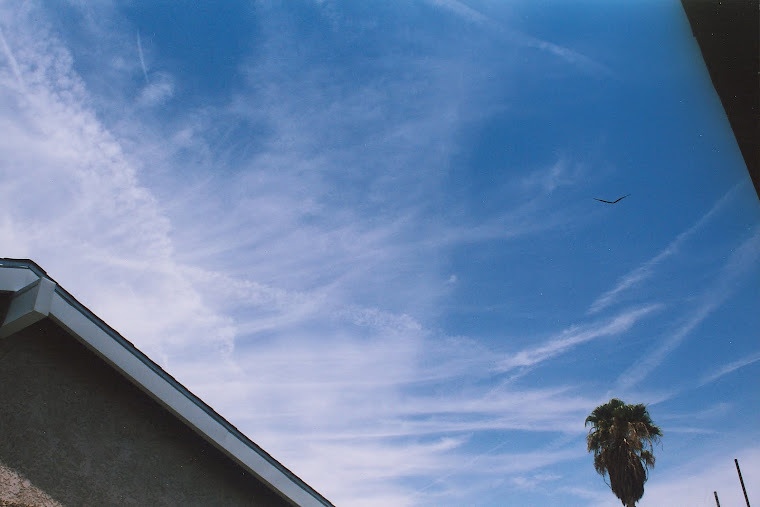 During the summer of months of this year I was aware of something around me. It was a very hot summer and the air felt electric. When it was thunder and lightning outside, my father would accompany me into the back bedroom to watch the lightning crashing on the skyline of the Ochil Hills. Most often in this neck of the woods we get fork lightning but this year we had what my dad called "Wall Lightning". I had never seen it before. I loved it. I begged to be allowed to swap back rooms again and by September my father was beginning to relent, but my mother stuck to her guns, I'm really glad she did!. That Winter we had the worst wind I can ever remember. The wind had caused cars to upturn on the road, garbage bins and garden huts were flying through the air like projectiles. The glass on the windows was beveling in like it was plasma. One of the most terrifying moments, was what sounded like an explosion and a vacuum.The doors in the house that were closed and blew open, the ones that were open blew closed, the loft door blew right up through the roof. The chimney landed in the garden. My father who was in the bathroom at this point checked the damage. If he'd been in his bed he would have been killed. If my mother hadn't been through in the front room with me she would have been killed and if I had been given my own way and moved back into that bedroom, I would have likely died. The shattered glass from the window was embedded into the bed mattress and covered the length and breadth and depth of it. It was around Easter when I was allowed to move back into that bedroom again. There was no linen-box.like I had used as I stood by the window to look for my UFOs. One night, as I watched out the window I saw around seven of them. They were approximately 9 inches to a foot in diameter. They appeared yellow/gold/orange in colour. Each appeared like a small sphere of energy as they came rolling over the field, then over the railway line, then the dark park, from the Bonnybridge direction. The spheres bounced along the back of the houses. Some spheres were actually popping through the windows of the houses. I watched for the entire time. I was not scared, I was just excited and wanted to be part of it. At the time, I couldn't tell my parents about them. I knew that if I had told them, I would then have to move back out of that bedroom to the one I had just left, so I decided not to say anything at all. It was not long after that night that I was wakened by the sound of the cupboard door in the bedroom being opened. It had a slight but distinct squeak because of the new thick carpet that had been put in. My fathers' prized fishing tackle was in this cupboard because it was too good to be left outside in the hut. In the tackle amongst his gear, was a jar of sardines. I think he used them to catch salmon. I heard the lid on this rusty jar being turned. I was lying as still as a mouse as I watched a "grey" alien being walking out the cupboard, wiping his mouth with the back of his hand. He was very surprised to see that I was watching him. I wasn't really scared, my heart was racing but no fear. I then with "a matter of fact" attitude asked it out loud what it thought it was doing stealing my fathers sardines? Not getting the guilty reaction one would expect to get, I received a telepathic "matter of fact" reply from it. It made me aware that the sardines had been in the jar since last year and they were easy for it to digest. It's mouth was so narrow it was only wide enough to slide the sardine into it. The grey had only small teeth. I told it, it would get me into trouble because my father would blame me. The grey then told me it would get into trouble for doing what it was doing if it was caught. At this point my father came into my room and asked if I was okay. He thought he heard me talking in my sleep. At the instant the door started to open, the grey turned into a faint glowing sphere of light, and it took itself under the wardrobe hung on a hook from the wall. It then went up behind it and to the ceiling, to the very corner or the room. I could still see it up there still, with my father in the room now. I knew if I pointed it out to him, it would only have popped through the ceiling and disappeared. My father left the room and for what felt like ten minutes passing the orb/alien remained up by the ceiling. The light finally started to come back down to ground level. The alien grey then reappeared and put its finger to its mouth, it spoke telepathically to me again and it thanked me, for not speaking of it to my father. It said that because it was the only one stealing, then it was accountable for the stolen sardine. It would have to show itself to my father for the deed, rather than me take the blame. I told it, it was okay but it said it would have to leave. It said that it had something to do and its energy sphere wouldn't be active long enough to get it back to its ship. The grey then said that they were only allotted a charge long enough for them to complete their tasks, with a short excess to ensure return. The grey asked if it could call again and I said yes. It told me it would be able to stay longer if I left a window open for it, so it wouldn't have to expend any energy passing through the glass. It also asked if could I leave the cupboard door slightly ajar and if I would sit the sardine jar within easy access for it. It wanted the jar left at the top of the fishing bag rather than the bottom of it, because of the fishing hooks and flies. I told it I still wasn't to keen to agree to this because I knew I would get the blame for the missing sardines. It said it had to go now and that if I wanted to see it again, I was to just leave the window open. I did as it had asked and I left the window open every night. It was four nights later that the grey came back. This time I was aware that there was more of them. There were three of them in the room, all wanting a whole sardine. I wasn't linked telepathically to all three, only the one which was pretty friendly with me. That grey made the other two greys aware that there was a price to be paid for the sardines.With their spare energy they were to take me on a dreaming / flying trip over the fields and over the local area.This is what I had asked for and wanted. I remember the incident clearly. It was like a triangle of glowing/light orbs, holding me up like I was on an invisible flying carpet. I don't think the entire ride lasted more than ten minutes before I was returned to my room again..
After that, things were going great as far as I was concerned. I knew that if I gave them something that they liked, they in return would be kind to me. I was still concerned about the missing sardines but they assured me not to be worried about it. It was about a week later and fishing season was imminent. My father came into the room and went into the cupboard to retrieve his fishing gear that had been in storage for many months. I was right along at his side and all wide-eyed as I watched him look into his open bag. He was taking inventory of all that he had and contemplating over what he would have to restock. Suddenly the the bag disintegrated round the bottom of the sardine jar. The sardines fell straight through and the jar smashed on the wooden floor of the cupboard. Floats, reels, flies, hooks, etc. all landing on top of the oily mess. For all the time that I had worried about getting into trouble over the missing sardines, for all the excuses I had considered (I was even ready to say I had eaten them myself), it was all over in a second. My father now had more to worry about than noticing his sardines were short. The oil they were in seeped all through the floorboards and came through the downstairs cupboard ceiling and the walls. My mother - being an extremely house proud person, went ballistic. It was not just over oil but it was stinking fish-oil. She demanded the fishing gear be moved out to the hut. That night I could hear the metal garbage-bin lid being moved. Cats often tried this but couldn't, the buckets were too heavy for a cat to tip on end. A large dog may be able to gain access to the contents by this method but there was no other things that I knew about "creature-wise" that could lift the lid, hold it up and rummage inside while then placing the lid back down. I took a walk down to the trash can, first thing the next morning. There were no sardines left at all in the trash, only broken glass. During one of the occasions that the grey made contact with me, it asked me to get my mom to buy sardines from the shop. I then had to convince my mom that I really liked sardines. I was asked how I knew I liked them? She had never bought them before and she was still ready to blame me for my fathers jar of sardines that made a mess in the cupboard. knew she through that I must have been tampering with it. I told her I had tasted sardines at my grandmother's house. Not really believing me, she bought a tin at the market and opened them up for tea or supper, (the only problem was.. I hated eating them). I managed to force two sardines down before I wanted to throw up. My mom put the rest of the sardines on a plate and then in the pantry. She mentioned that my father would probably eat them when he came home or for breakfast the following day, and I was told to never to ask for them again. That night I was aware of someone in the cupboard. It was the grey again. It came up to my window and spoke telepathically, saying that these sardines weren't the right ones. I considered the difference, the ones in the tin were prepared for human consumption with added salt/brine. The fishing bait ones were in something oily and also had its whole head intact. It was a week later during the at night and I saw the spheres return again. They were hovering over the Roman Fort field. As they came towards the houses. As I watched the orbs, I noticed a silhouette of someone standing on the hillside. They stood there on the far edge of the park, not moving. As the spheres passed directly over him, I could now make out his features. It looked as if the whole scene were a photograph in full graphic colour. It was all so detailed and vibrant. I was to see that face of the figure that stood there.. again. That night, I was aware of being abducted. The grey at the bottom of my bed was asking if I was really sure I was ready to go. It was then at this point that I noticed a tall dark form standing to the left of the grey. It was about 6 1/2 ft tall. For the very first time, I was scared of what I was facing. This being's eyes frightened me. The eyes did have pupils and it seemed intelligent.It never communicated to me or the greys while in the bedroom. Outside in the darkness of night, this being looked like the grim reaper, as so many have portrayed. This being was now getting impatient at my indecision. It began scolding the grey for bringing it to me. I quickly decided to say yes to it, so as to not get my friend in trouble. I was transported vertically right through the big pane of glass. I heard it pop behind me and I was forced into an upright position. Then a column of purple-neon light began to surround me. I asked my friend the purpose of this, he replied that it would kill off germs and correct my temperature to very low. By the time I arrived at the doorway, I felt like I was freezing. The greys removed my pyjamas and replaced them with a lilac lurex tunic. It warmed me up immediately, and it also made me feel like every cell in my body had a smile on its face. I looked back through the doorway and saw letters and numbers. I reckon I would have to undergo hypnosis to remember them all, but there was a"Q" and a "6" involved. I found that every detail of my abduction can be mirror-imaged of Urandir Oliviera's account, to the finest detail, BUT he has been blasted as being a hoax. I reckon 100% he's telling the truth. I remember a few details more than he has accounted for but I think that he would know what these were if pushed for an answer. During a naked examination, the lilac tunic had to be put back on me because I was very cold and every cell felt as if it were freezing again. They kept asking me my name and I would tell them. I began to think that they were testing my level of consciousness by asking the question over. They removed my tunic and once more I was relatively unaware or "numb" to it all. They then began to do more testing on me and I started to freeze again.. The greys put the tunic back on me. It was just like a zap. It was instant to occur. My friend (the grey) was now back at the table again. The tall one that had been there had left, but there were two more tall ones doing tests of my sample. It was on some sort of computer type machine that they did this. My friend (the grey) said he wouldn't be seeing me again and they were done with me now. I cried at this and asked it why, when it had asked me to come up to his home to play games with him, to share his food with him. I had done with him what was asked, yet I had not been allowed to do any of what was promised. The grey went away and asked the tall being if this would be allowed. It was granted by the tall being and I was taken to what could be described as a space no bigger than a closet. I was told to be very quite and to listen for a bell, then there would be food brought. The grey would accept it and then give it to me. He explained it would look like a small tablet of that would appear made of plastic. I asked what was this? He said it was his food. He explained that all the nutrients that his body needed were contained within.This was why he had no need for much of a stomach, this was also the reason for a small bowel system. I joked with him and asked "Then why have you such a fat belly"? He replied by telling me that he had really big lungs and that where he comes from, there is a high-concentrate of carbon-dioxide. To get the required amount of oxygen, they need big lungs. It then told me I could imagine any food that I wanted and this sellotape thin tablet, would be whatever I wanted it to be. I was to just to put it into my mouth and hold it flat between my tongue and the roof of my mouth. I was also to keep the thought of the food and concentrate and enjoy the food until the tablet dissolved. I tried to keep the thought of food but lost it almost immediately. The tablet turned into what felt like sand, in my mouth as it slowly dissolved. What was my fathers name? What was my mothers name? They told me that I couldn't be who I thought I was and did I have another name. I told them I was sure about my name. I explained that I was christened in a church and on visiting weekly, people would speak my name. This is when I picked up on the conversation between them. I could overhear one saying that I must be one of the adopted. They now wanted to return me immediately. My friend said to me to remember my name on the journey home. When they try to return you home, they must have a 100% submissive person, for them to be able to wipe the mind's memory of the encounter.. I kept singing my name over and over again and they couldn't break through, though they tried. They told me my name was THELMADONNA. They then told me to stop being so willful. I continued to sing my name aloud. They eventually told me I would pay for being so willful. They knew my favorite chocolate bar at that time was Cadbury's Milk Flake and told me that it would be harmful to me if I ate this bar before morning. I thought I was being so clever, thinking to myself there is no way there could be one of those chocolate bars in the house anyway. The ice-cream van had passed long since and there was no chocolate bought. To my surprise after I was returned home, my favorite uncle unexpectedly came to our home at 2.30AM. He had just arrived from his two hundred plus miles journey. He came into my room and I awoke, as he came over to the bed. I was taken back a little as he handed me a Cadburys Flake bar. I immediately realized that this was the bar that the aliens told me not to eat. My Uncle tried to encourage me to open it then and have a bite, but I was stubborn to my word and I said I would wait until morning. He then asked what I'd been up to, as my pyjama top was on back backwards. He sorted it straight and I put the chocolate under my pillow. I soon went back to sleep. The next time I woke it was broad daylight outside. The windows shone the light of day.. so I made straight for the chocolate and ate about half of it. Suddenly the light went out and it was still dark outside. I was shocked. The light that shone in was not a light..but a lit sky. The greys had tricked me. It wasn't morning, it was dark as night still. One week later I had a massive-middle ear (puss-filled boil) infection, which when flushed- produced a foreign body. I got a row from my parents for poking things in my ear though I hadn't. The flush or the poison also poured down the back of my throat and hit my liver like an acid. It was burning so much I was sick. Three weeks later I had full-blown Type 1 Diabetes. During the summer month of June, there appeared a UFO over the playground of Easter Carmuirs Primary School. There were many children on the playground practicing for sports day. The UFO looked like a doughnut-shaped cloud about 100ft of the ground. Trailing down from it looked like a rope that was flailing around, until it connected with the ground then it took on the appearance of a straight laser light and solid. The end that hung hit the ground for about 30 second and quickly the grass started burning. 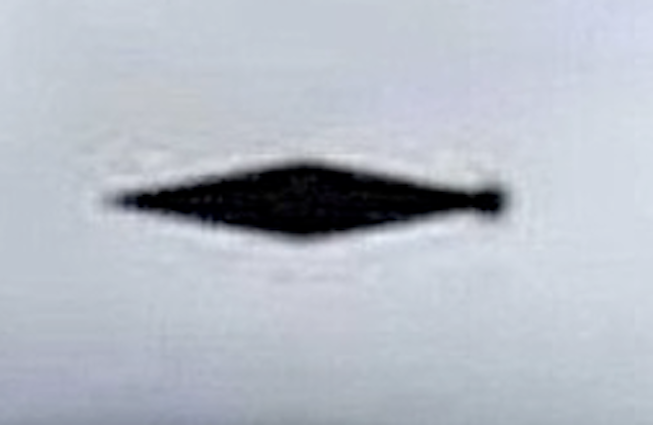 The UFO changed in a flash to what looked like an elongated diamond in shape and appearance. In a blink of an eye, the craft split through a clear-blue sky with shocking speed. Instant speed. It was now two weeks later and it was summer vacation for me for school holidays. At around 8.30 PM, I was playing on my bike over by the railway line. I was riding on the dirt track that was there. I was basically doing what cross-country BMX bikers do. It was a pre-BMX bike that I was on. It was a ladies Raleigh junior without the proper suspension and not meant for the way I was treating it.. It was very very foggy out as I hit a big bump on the track. It spun the handlebars so that the handle was facing me like a spear. The bike hit the ground with an almighty thump and I hit the handlebar of the bike. It felt like it had rabbit-punched me in the liver. The impact knocked the wind out of me and I couldn't inhale, I couldn't even scream. I did lay there thinking I'd not long to go because I still wasn't breathing. Out of the fog came a figure, he breathed life back into me. He picked me up and carried me up from the track, over the Sand Hill, down the park, over my garden fence and lay me down on the grass under the kitchen window. He was the man I had seen in the silhouette on the crest of the Sand Hill before.He told me his name was Michael. He went up to the door and knocked. When the handle turned to open it, Michael simply disappeared. My father found me lying there flat out, thinking it was a diabetic fit he tried to sit me up. When in the upright position, I threw up a projectile vomiting. I was in agony then, I couldn't breathe again and my father was frantic. He was calling on my mother to assist him. They carried me inside with them still thinking it was a diabetic related condition. I was trying to lift my T-shirt to show the damage from my experience but my arms were too weak. After about ten minutes of lectures for letting my blood-sugar get too low, for being on my bike in the fog and for everything under the sun..it turned out to be not the case.The testing showed that I was fine and my blood-sugar levels were not the problem. I managed to lift the T-shirt and show them the bruise, a perfectly round magenta colored bruise. My father then asked where my bike was and I told him it was still over by the tracks. He then asked How did I get back to the house? I told him Michael carried me. He never questioned who he was. We had a few Michaels stay close by. But this Michael, my Michael, was not from around here.This was definitely the same person I had seen in the silhouette the first night I saw the glowing globes. I was confined to the house and garden for about two weeks, even my legs felt weak from the bruise to the liver. As I remained inside, I would watch out over the park and see my friends running about. I wanted to get back outside to play with them, but I couldn't lift my legs high (without pain, a cramp in the liver)to get them over the fence. One particular day later that summer, it was hot out. It was too hot to be outside. I went upstairs to the back bedroom of the house, just looking out the window. The neighbors had a sheet metal walled garage, which would buckle and creak in the heat. When you looked at it would shimmer as if going to revert back to its liquid stage, I had planted a Rowan tree half-way down the length of this garage about four years before this and by now it was about the height of a man. It was quite spindly on this particular day. It was then that I saw a figure the size of a grown man, lurking behind the tree. It saw me watching and instantly melted into the garage wall. Before it could I saw it. I looked right at it and it looked for a moment like a mercury man. It was all chrome or very reflective like made of polished metal. I hurried as fast as I could to get back down the stairs. It is something that would normally take me 30 seconds, but for some reason..it took about 5mins. Outside, I made my way to the door of the garage. I saw a flash as I rounded the corner, and it looked like it came from the neighbors back-door and went to the other door into the garage. I went in the top door and began shouting, "Come out, I know you are in here"! There was no reply, so I quickly went in the bottom door.I saw a figure lying on an old sofa. He was trying to hide his face. He was trying to get me to go away. I asked him who he was, he said his name was Michael. I asked," My Michael"? but he didn't acknowledge. He said he was starving asked if could I get him something to eat? I said, no. I asked him again who he was. He said he was my neighbors son. I said no that he couldn't be.I said if you were their son, describe to me details of his parents bedroom .The man of the house had been a ships captain and had ships in bottles and compasses. He told me the name of the ship in the biggest bottle.Although I'd never heard mention of this son, he described to me something only what I thought a son would know. He said again he was hungry and would I get him something to eat and drink. The heat in the garage was suffocating, I thought I would oblige, as I was thirsty from being stifled in there too. I went to get some snacks and drink and returned ten minutes later, but he was gone. I was annoyed, I had made a big effort and was exhausted and he didn't even bother to wait for it.I looked up into the sky at the back of the garage and saw a flash again. When my neighbors returned from work that evening I asked them about their son Michael, as I'd never heard them mention him before. I had known them all my life and they were now quite elderly and the couple had three grown up children. They told me that they did have a son called Michael, but he'd been killed the year I was born. It was a Motorcycle crash 400 miles away, that took his life. So, I started to think again..What was this that I had seen? If I hadn't seen the bright streak of light leaving the couple's house to the garage, I might have settled for the explanation of a returning spirit/ghost. It could be explained as Michael's spirit returning to his parents. The way it all happened made me think that it could have been an extraterrestrial going into the house, to gain the knowledge of the neighbor's circumstances. All the things Michael had said about the boats and compasses, even down to who he said he was, could have been gained from the parents house. My conclusion to this was that it was made to appear to me that I had encountered the spirit/ghost of Michael. I didn't buy into it as a spirit would never have asked me for food and drink. A spirit would just have de-materialized in front or me or before I even got there. I do not think that a spirit would have looked so exhausted in the heat. It was a balmy autumn night in late October. By this time in my life, I was aware of having had alien abduction experiences. I was still in contact with someone telepathically. I had asked how I would be able to observe, but not be taken? I was told, when I heard/feel the vibration, I am to sit on the ground at the top of a rise that is looking down on the area that me and my chums were playing games on. I was told that I would have to bring my knees up to my chest, lay the palms of my hands and the soles of my feet firmly on the ground, and to breathe very shallow, so that my vibration was not detected by them. It happened and I watched the sky as the humming got louder. I saw something blackout an area where the stars were, as it came rolling past the park and continued towards us. My friends were silenced from the whole experience. I could still hear them, for a few seconds. I then stared into the dark. I tried to estimate the size of the blacked out rectangular area and I reckon it was at least half the size of a UK football field. The rectangle craft passed directly over the top of my friends and I. I could no longer see them, it was like a dark curtain. The color of the night came down and everything went dark, so dark that I could not see much. It felt like a very long time before I heard the voices of my friends again. The true time that had passed was nearly fifteen minutes. 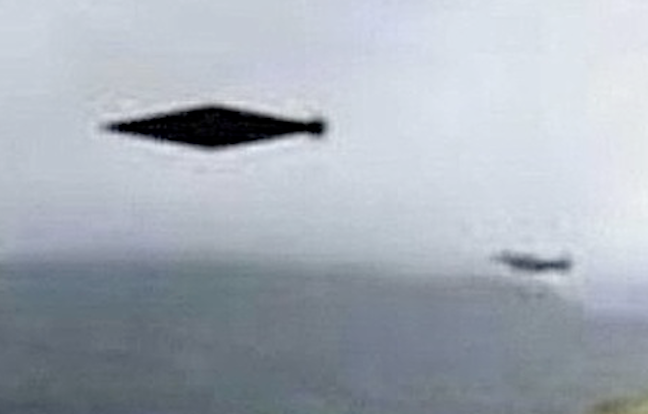 Just as I saw them coming from the darkness, the object in the sky took a different shape, as it veered off to the left and upward it looked like it had morphed into a triangle UFO. My friends were not aware of anything actually happening and I do remember all my friends that were taken. The group was Charlotte, Anne, Denise, George, Crawford, Jean, Joyce, Marie and a few others who I was not so familiar with. Charlotte and Anne were late mothers not having their first child until nearly 40. Marie,Joyce,Jean and George have all died from cancer. Crawford is infertile.Denise is brain-damaged due to a genetic illness that wasn't discovered until months after my sighting. Marie and Jean died from breast cancer. Joyce died from Systemic Lupus Erythmatosis and George died from Pancreatitis. Crawfords parents also witnessed the large sphere of orange light that was bouncing in this same park, two decades later. As children, we were quite adventurous. A group of us used to take a short cut under the canal using the railway tracks. It took you up to the woods and no traffic of any kind could access this area. It was a hiker's area. We used to play hide and seek there and this particular day I elected to be the watcher. The watcher would be the person who would lookout for parents coming to get their children. You could see them coming from far enough away, to give ample time and notice. All the kids would have enough time so they could scramble out the woods and back along the track. Any child that had to leave would end up sitting, and playing quietly in the sand pit by the time their parents reached the crest of the hill. Thus limiting any consquences from the parents. This day when I was watcher, I saw two energy spheres bouncing along the track. When they came through my side of the tunnel, they were now two grown men. They both had what looked like lumberjack shirts on and dark-blue denim trousers. They inserted a long drill like object into the banking along the side of the railway. It was at one of the areas that was made up from tiny cobblestones, like a fine dry-stain dyke, very compact. The two men seemed to be searching for some kind of mineral. It was the first time in my life I had heard the word Silicon. They took what they had found and walked back along under the tunnel. They were talking as they went right under me but I couldn't make out what they were saying. I watched for them appearing on the other side of the track tunnel but they never did. I then saw a friend approaching and I thought he would be caught by the adults, but he just walked right through having seen no one under the tracks. The place was deserted. Walking along the canal from Ochiltree Terrace to Loch 16. I was strolling along the canal with my friend. It was around midday and it was a muggy but clear/sunny summer day. The air was buzzing it was so thick..
My friend and I were discussing what we were going to do and we were making plans. We were going to put up a tent in his back garden. He was a believer of UFOs and ET as much as me, but had no recollection of any experiences. We had been discussing whether or not we would be lucky enough to catch sight of any UFO that night. Just at that moment as we walked along at a leisurely pace, we were suddenly aware of a humming that was getting louder.Looking at each other, we turned our heads toward the definite noise source. We saw two dark clouds, each about the size of a car traveling at an almighty speed along the opposite side of the canal. The UFOs hovered above two factories (Tar Works and a Fish Meal Processing Works). The stink and effluence running into the canal at this point was breath-catching. At this point in our journey we were usually running past the stretch, but that didn't happen this time. We stood transfixed watching these "clouds" when suddenly we heard the roaring thunder of a jet approaching. The clouds became agitated and it was that fast, that we couldn't understand the physics of what happened. The shapes went from being clouds to a grey/silver metal triangle. The UFOs took of from the other side of the canal. Once they crossed the canal and were above the houses, the metal of the crafts looked almost ice-like. At this point the crafts began a very fast rate of assent. It looked like they shot through into another dimension. They did not just hide in another cloud, they just "popped" through the atmosphere. The distance it took for these crafts to do this, is estimated to have been no more than 40 feet on the vertical and 60 feet in height. It was immediately after this that a real jet passed overhead. I was military and it was definitely chasing them. The fighter was so low to the houses that the roof tiles were jumping and shaking. Very soon after that another two jets followed. They made their way in the same direction as the lead jet. They disappeared towards the River Forth. My friend had not only his first sighting of a UFO, but his first sighting of jet aircraft. He said they were U.S.A.F. jets. Our ears were so sore we couldn't hear each other speak, and our eyes were popping out of our skulls. We about turned and made our way home. I think this gave my friend a real big fright, he cried that day and we never spoke much of UFOs for some time. His mother had never seen him in this state since he was a very small child. She heard the jets but never saw the UFOs. Nearly thirty years later he asks me one day, if I still see UFOs? The answer to that is I never saw another one there after that. 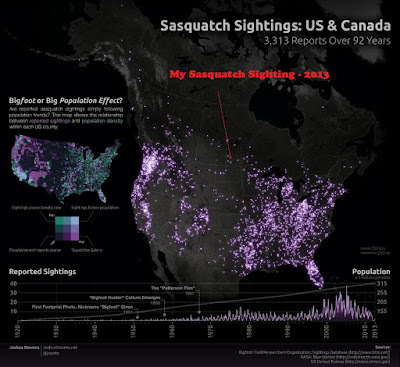 I moved away from the area in September that year and have since scarcely returned. I asked the same question to him, he replied with a matter of fact, "Aye still seeing them". These are not all the experiences from my dear friend..but these are the ones that she has openly shared. I will add she has many memories of other abductions and things she has been shown by the greys. Perhaps one day..She will allow for them to be shared here, on Taken By The Greys. If it were not for her opening up to me..after I started to talk about my own encounters..I would not be sharing my experiences as I do today. You can find Thelmadonna if you search. She is often deep within the archives of The Book of THoTH site.. This is where she would like you to start your journey..if you are on a quest. Hypnosis Past Life regression would clear out the intimate details, my recommendation is 'Deloris Cannon' in Huntsville, Arkansas, (Google her link) as I too along with my daughter have had this past life hypnosis with success...on just one lifetime...for our first introduction. My friend Svein Haukenes whom now resides in Bali, also performs these sessions. These folks have volumes of discoveries of 'Abductions' of which by the way, is not abductions by virtue of the definition." I am so grateful to read Thelmadonna's story. It validates some of my experiences because I too know how they can appear in different forms, even their space ships. Wondered how they took me out of my home and get inside. I knew I was not crazy, yet some things seemed crazy. How did the they get me on the their ships? How did they enter into my bedroom? Once while in my bedroom I was awakened and saw a ET. His arm moved fluid like and and very thin. I folllowed it it to where where it was pointining. He had hologramed a star. Wordlessly he invited me to go. My feeling is they won't envade Earth and take over our planet. If this was the case they would have done so long ago. Instead they have come to help us. Their tagging people is no diffrent than we tagging animals in order to understand them far greater, take specimans in order to help. There are 400 hundred documented cases of people resisting abductions by Alien Greys. It is impossible to know if this is true...Tell you what,though...It is one hell of a story.True or not,it is fascinating! This work is the ultimate UFO-Bible connection story from a modern day Enoch. It provides the background and rationale for all other historical and biblical "encounters" as well as those continuing today. The books reveal the reasons. The elegance of the truth is stunning!